Ruthless Premium Tubes and Tips offers a selection of Flat, Diamond, and Round tip types for the professional artist to choose from. Ranging in size, these clear tubes and tips accommodate the needs of various styles and techniques - while delivering the easy clean up of disposability. Each tube and tip comes individually packaged and sterilized with ethylene oxide gas. 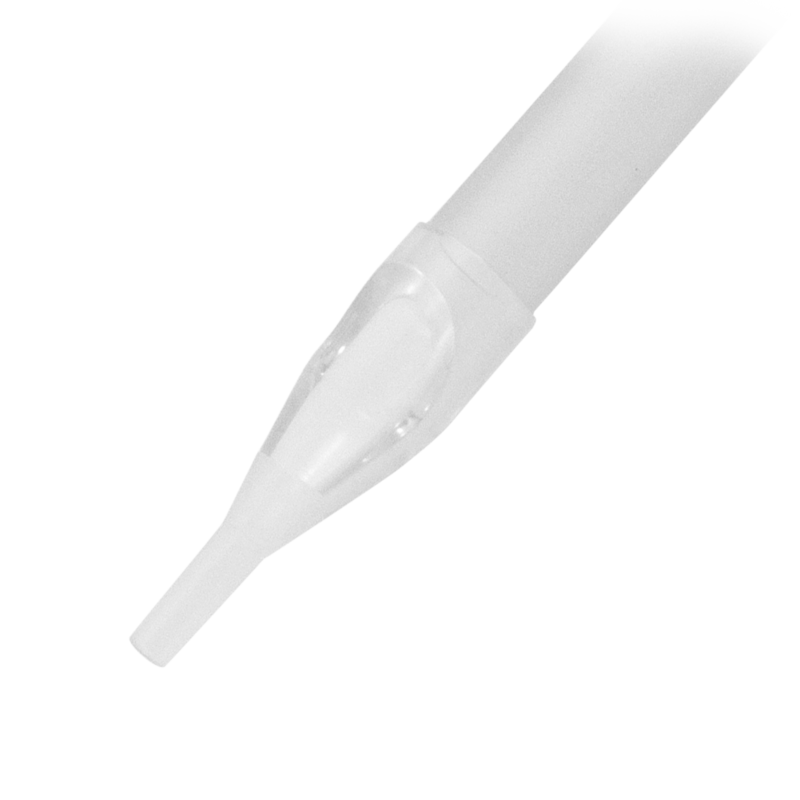 Easy to read sterilization indicators ensure the safety of each single use tube, easing the mind of both artist and client.